How do you choose a right toilet for your needs? What are the things that you want to think about when you’re choosing a toilet? As with most design decisions, you’ll need to think about functionality, style and cost. Let’s start with the question of whether to purchase a one piece or. two-piece toilet. I’m certain you’ve heard those words before. What’s the difference between one piece and two-piece? The difference between a one-piece toilet and a two-piece toilet is exactly that. The two-piece toilet is two pieces, with a separate tank and a separate bowl, so there’s a connection between the tank and the bowl. A one-piece toilet is a molded unit where the tank and bowl are connects as one piece. Which is better? Some folks have concerns that the connection between the tank and the bowl is a potential leak point. The reality is that we haven’t really seen many, if any, of these toilets leak at that connection. That would be the biggest argument against a two-piece toilet. The biggest “pro” about a one-piece toilet is that it’s actually easier to clean because you don’t have that connection, so you don’t have that crevice. So if you’re looking to have that easier to clean situation, they’ll go with a one-piece toilet. The other benefit is that, due to the way a one-piece toilet is molded, you can often get an elongated bowl toilet that doesn’t protrude as far as an elongated two-piece unit. If space is an issue, this would be another argument for the one-piece. The other part about the design and functionality of toilets is the skirted vs non-skirted sides. You may see that they’re coming out now with a lot of toilets that have what we call skirted sides. We all grew up with toilets that had those intestines on the side of the toilet and now they have realized that those get really dirty. They gather dust and other things. With the skirted side toilets, you just wipe them down easily. So that’s actually a feature that isn’t overly pricey, depending on the brand and toilet type. They’re a little bit more difficult to install but they are definitely something you want to consider if you want an easy clean situation. The third thing is the flushing mechanism. Obviously you want a great flushing mechanism. Here in California, there are certain requirements on what you’re allowed to have and the toilet manufactures have done a pretty good job of creating technology that allows the toilet to do what it needs to do with a low water flush. You also have the other option of a dual flush situation. Often times dual flush toilets will have buttons on the top with a button that separates a number one flush from a number two flush. You know what that means. The number one will push less water through the toilet. So there’s an additional water-saving aspect to that. These are called Dual Flush toilets. 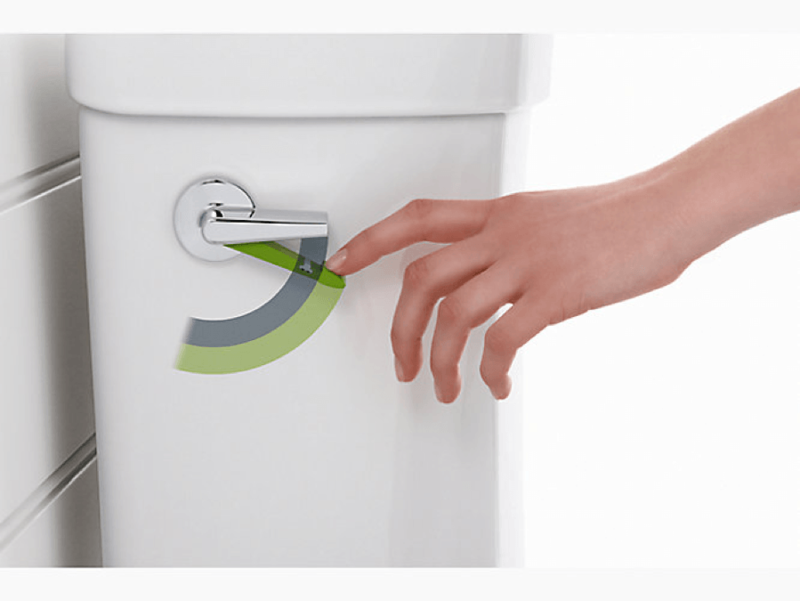 Some of the newer dual flush toilets now have a lever on the side that give you a split lever so you can decide one or two if you want to have the top of the toilet available so you can put something on top of the toilet like Kleenex or something else you might want handy. The fourth thing is round front vs. elongated. I’m sure you’ve heard these words as well. Do I need an elongated toilet or a round toilet? Really, I think that the elongated toilets are ultimately more comfortable. The bowl is just bigger and gives you more room. However, if you have a short space for a toilet, those two inches can make a difference. Typically the elongated bowls stick out a few inches longer than a round bowl so you want to think about that from a space prospective. Again, as I shared earlier, there are some one-piece elongated units that don’t protrude as far. Finally, height! So you’ve heard the talk about comfort height toilets, universal height toilets. Typically when you get older your knees aren’t going to be as strong. 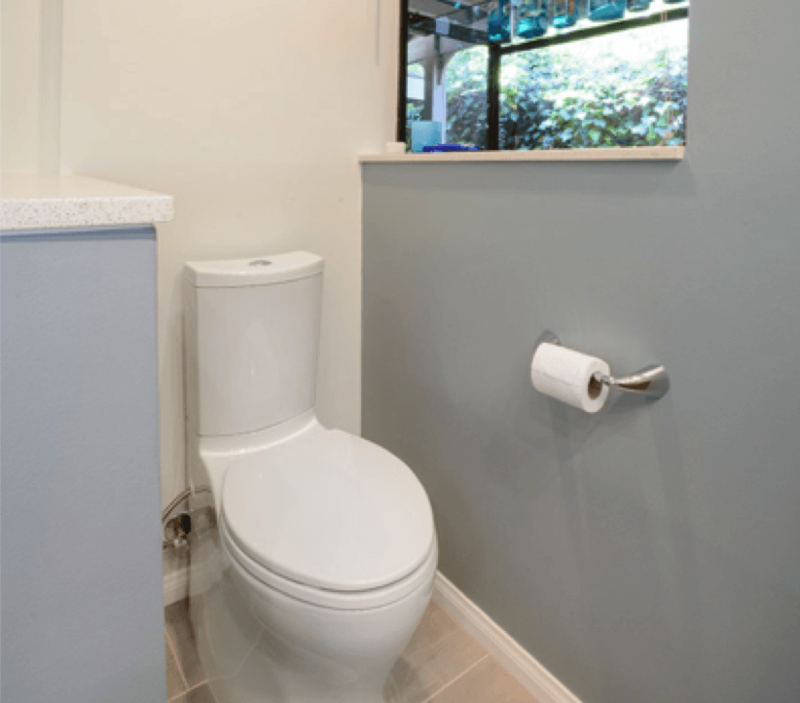 Oftentimes, people will opt for a comfort height toilet which is going to typically be about an inch and a half or so higher than a standard height toilet which helps you get up and off the toilet a little bit easier. So that’s what you would call a comfort height toilet. Stylistically, one-piece toilets and two-piece toilets both come in a range of styles, everything from contemporary to traditional and everything in between. So that really doesn’t drive things much. The Toto Aquia two-piece toilet is a very modern looking toilet where the Kohler Memoirs one-piece toilet is a very traditional toilet. 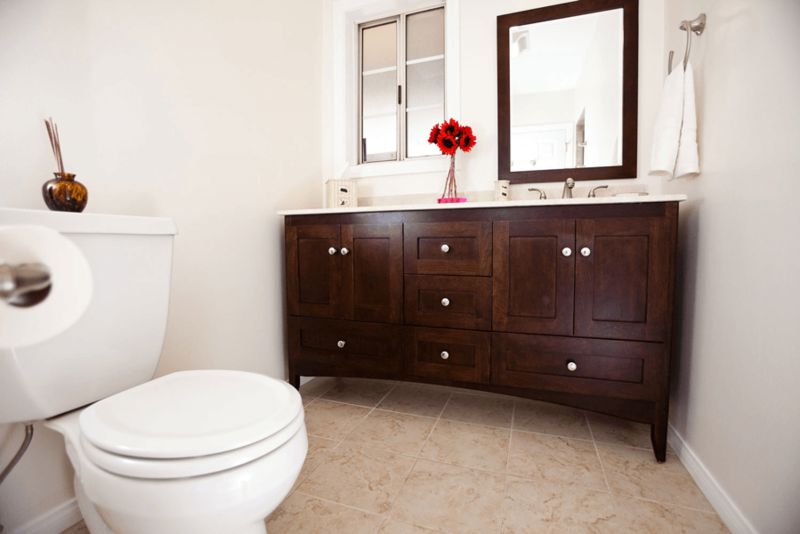 If your toilet’s going to be out in the open and you want something that matches your bath design then you’ll want to consider stylistically what that toilet is going to be. If it’s in a separate room and nobody is going to see it, you might not care about that. From a price point perspective, toilets can range all over the place. Typically the one-piece toilets, on average, are going to be a little bit more expensive than two-piece toilets. However, I have seen some fancy two-piece toilets that are extremely expensive. So you want to take a look at what’s driving you. Is it style, is it function, is it price, what’s driving you?